ATLANTA – October 16, 2017 – Call2Recycle, Inc., North America’s first and largest consumer battery stewardship organization, today announced an innovation to bolster the safety in handling and transporting potentially dangerous batteries. 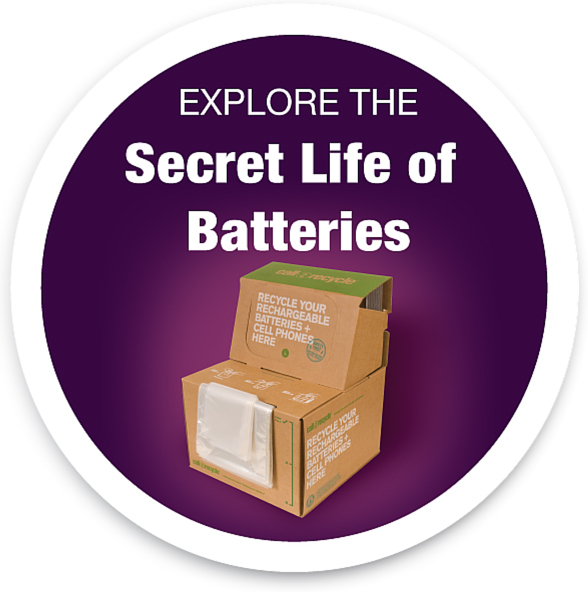 Its U.S. battery collection containers will include an innovative, flame retardant liner. This new feature is part of the organization’s Charge Up Safety! initiative to further the safe collection, transport and recycling of consumer batteries. When certain types of batteries reach their end-of-life, they may still retain a residual charge that can present a safety risk if not handled properly. To reduce any safety incidents, the Call2Recycle® program will include the flame retardant liner in all its battery collection boxes as an extra layer of protection during collection, transportation and recycling. The patent-pending liner is made of a dry polyester fiber and provides an additional level of defense in the event a thermal event occurs during the battery recycling journey – from collection to transportation to sorting and processing. The liner is manufactured from used plastic bottles, and is both reusable and recyclable. This innovation, when applied with the program’s guidelines, can limit the potential for flames to escape from a battery box in the event of a thermal runaway or ignition of materials. The flame retardant box, manufactured for Call2Recycle’s use, has been independently tested, and can withstand up to 1,100 degrees Fahrenheit. Call2Recycle will begin fulfilling boxes with this liner to all of its collection sites across the U.S. in the coming weeks and to Canada in early 2018. Call2Recycle offers more than 14,000 public drop-off sites where consumers can recycle their batteries at no cost. Since 1996, the organization has collected and recycled over 130 million pounds (59 million kg). To find a local drop-off site for battery recycling, visit Call2Recycle’s locator page.